Yimiton's Blog: Globacom Manager 'Adebayo Ola-Smith' Commits suicide in Ibadan! Globacom Manager 'Adebayo Ola-Smith' Commits suicide in Ibadan! I don't know what could possibly lead a married man with children to commit suicide and blame it on his boss, but judging from the suicide note this Glo Area Marketing Manager left, that seemed to have been the case. One of the Area Marketing Managers of Globacom Nigeria, Adebayo Ola-Smith committed suicide last Saturday, leaving a note in which he apologized to his wife and children. It is also being speculated that the deceased blamed his action on his boss who he claimed was frustrating him. Though Tayo Smith’s colleagues are keeping mum about the incident and no one wants to be quoted, there are insinuations that there is more to the suicide than is being said. People have started wondering anyone would commit suicide due to frustration from a boss when there is an option of quitting the job. One other suspicion that has been raised by the supposed suicide note borders on the condition under which it was written. Some people have drawn an inference that the deceased might have been compelled to write the note to make it look like suicide while what happened was probably a case of homicide. There have also been suggestions that he might have been in on some top rated secrets or deals which probably led to what is being termed “arranged suicide” by some. 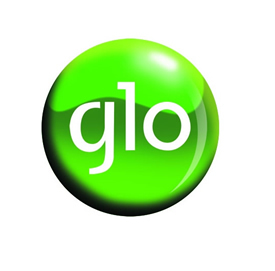 Though no member of staff of Glo in Challenge has denied the story, none wants to say a word. Everyone is keeping mum and when calls were placed to the Public Relations Department at the Head Office, those who answered claimed to have been transferred to the Northern part of the country. I'm in shock. I knew this man. He was a branch manager, earns over a million in a day, had a house in Ikorodu and even bought and paid for the house he stays in Bodija, GRA Ibadan. I don't understand how he could commit suicide. Indeed, it feels very fishy. Really? So, why will he do this despicable thing? I shake my head. What should jobless people do now if a boss can make someone commit suicide. That man is just looking for an excuse. It sounds suspicious. The office environment can be very challenging but it is still no reason to commit suicide especially when you have so much to live for. From what Anon 4.29pm said, this man wasn't even an average citizen. He was rich, so, if it got so bad, why didn't he simply walk away and do something for himself? Really, some people's jobs mean the whole world to them. I pity his family but this story sounds fishy. I'm angry, very angry. This man is wicked and heartles! All I can say, is may his soul rest in peace. We can't judge. 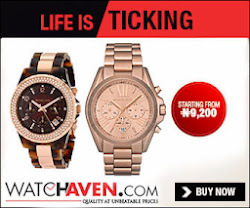 Even the hospital UCH is nothing but a mere opportunist. When are we going to grow up. Can you imagine to carry out complete autopsy on his dead body, UCH charged 500,000 Nara because he was working with Glo. On the normal circumstances it should not cost more than 12-20k. Just because he worked for GLO. UCH Ibadan charged 500,000 Naira. Glo on the other end did not pay for it. Right now no one really knows if he actually did the suicide himself or some hired killers were were involved. In other countries, Complete Autopsy is mandatory and found in almost every police backyard. I know this because I was there and the deceased is my blood brother...You can confirm it. At this point everyone is only speculating and that is the option left,giving the kind of society we live in,,,. It could be anything.. He mentioned names in the letter he wrote before he committed suicide. Names Originating from his work place said and quote "Mr so so so so and so is responsible for this mess". And after that he wrote he is sorry to his 3 kids and wife +family. He had three boys, was well to do and a beautiful wife. He invested a lot in himself, so as his late mum and dad really invested in him. One wonders how could a man with a beautiful wife,3 kids, a good job, 3 degrees together with several certifications hung himself.. I know him very well. He would never do such a thing. On the morning of that day. He went to work and got a phone call, told his workers that he is going home.. Only to get home and later found his body dead,his neck tied strong to a rope hanging in the center of his sitting room.